A business litigation lawyer Charlottesville, VA residents trust understands that when you own your own company, you have many decisions to make. How many employees do you need? What kinds of business transactions must you make? Where will your HQ be located? How do you deal with legal matters? These are all valid questions, but when legal matters come up with your business, you do not want to be left to deal with them on your own. Many companies face business disputes daily, and your top concern should be the financial well-being and security of your business. When you hire a Charlottesville, Virginia business litigation lawyer from the law office of Dale Jensen, PLC you know you are making the right decision. Businesses come with many added expenses, but an attorney from our firm is not just another expense. Instead, we can offer your company the knowledge and skill necessary when business torts and disputes come up, and our attorneys can help mitigate the expenses and time taken for lawsuits. Instead of trying to rely on yourself for business disputes and problems that arise when someone breaches a contract, trust a business litigation lawyer Virginia relies on from the law office of Dale Jensen, PLC. There are many reasons a business litigation lawyer from Charlottesville, VA can be helpful to your company. Below, you will find the top four reasons a trusted attorney from the law office of Dale Jensen, PLC can help your company. You Have a Business To Run. Instead of focusing on legal matters, you should be focusing on running the best business possible. Your Charlottesville business litigation lawyer will know the ins and outs of the legal terminology, when to file paperwork, and what arguments will work for your litigation. You, on the other hand, should be dealing with other business matters. You’ll Be Prepared. In a perfect world, people could quickly settle their business disputes without the need to go to court. This would save everyone time and money. 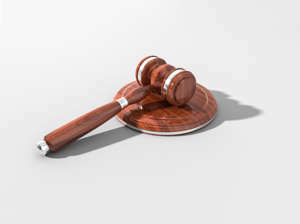 However, it is not always likely that a business dispute can be settled out of court, and when this is the case, you want to know you have someone representing you who will ferociously argue on your behalf. When you have a business litigation lawyer from Charlottesville, VA there from the start, you will be more prepared when it comes to going to court and you can feel safe knowing your case is in good hands. You Make the Right Decision From the Start. When you get legal help halfway through litigation, not only has this wasted your time and money from the start, but it can make going to court even more complicated. When you hire a trusted Charlottesville, VA business litigation lawyer from the law office of Dale Jensen, PLC from the beginning, you can have someone on your side even before a dispute arises. Don’t backtrack because you didn’t hire an attorney from the start. Your Time and Money Are Valuable. As the saying goes, “time is money”. This is even truer when it comes to business litigation. When you hire a competent and aggressive attorney from our firm, they will work hard to make your litigation go as quickly and smoothly as possible. What Does a Business Litigation Lawyer Do? When you are looking for the right business litigation lawyer in Charlottesville, VA, you may not know what kinds of questions to ask or what exactly a litigation attorney does. When you are in a business lawsuit, they will manage the different phases of the case starting from the investigation to the settlement or the appeals process. Having a litigation attorney on your side who you trust can make going to court much less stressful, especially knowing that they will work hard to find the evidence to help support your case and potentially even avoid coming to court. If you are looking for a business litigation attorney, trust the business litigation lawyer in Charlottesville, VA from Dale Jensen, PLC today. When you work with us, you know you have a reliable team. What kind of education would a business litigation attorney have? Like other lawyers, a business litigation attorney will have his or her juris doctor degree from an American Bar Association accredited law school. Thus, he or she should have a four-year degree in a field of their choosing in addition to three years in law school. After completing the degree, your business litigation attorney will need to pass the bar exam in the state they wish to practice in. There is a typical lifecycle of a business litigation case that your attorney will handle. This usually begins with an initial investigation and can go all the way to an appeals process. The initial phase in the case is the investigation. Your business litigation attorney will begin looking at the different evidence to see what exists when filing a lawsuit on the plaintiff’s behalf. If he is working with the defendant in the case, he will determine what evidence exists when making a defense against a potential suit. Your business litigation attorney will also be filing various pleadings and motions with the court and must also file the initial complaint and summons in order to start the lawsuit process. If the attorney is working for the defense, they will then draft answers and potentially counterclaims in response. During the discovery phase, your attorney will exchange information with the other party in order to gain information for your case. The discovery phase may include interrogations, drafting questions that the other side must answer, and it may include depositions. During pre-trial, your business litigation lawyer in Charlottesville, VA will close out the discovery process as they prepare for court. It is possible that during this phase your attorney can help you reach a deal, but if not, you will go to trial. When this happens, your litigation attorney will collaborate with various experts and identify the key strengths and weaknesses in the case. Once the attorneys have made their arguments, a judge or jury will decide on the final result. If you are not happy with the result, it is possible to appeal the case. For more information on how a Charlottesville, VA business litigation lawyer from the law office of Dale Jensen, PLC can help you, contact our office today.